This stylish little chiffon dress comes in three great color options for you to choose from. The Gold Studded Chiffon Dress is fully lined and has a great A line cut. Gold stud detailing decorates the neckline as well as the empire waistband of this dress, creating a chic look that can be dressed up or down. 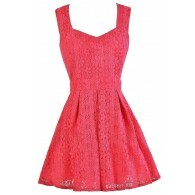 A fabric cutout at the neckline and an invisible side zipper complete this great dress. The Gold Studded Chiffon Dress would look great paired with pumps or strappy heels for a dressed up look—or wear it casually in the summer with metallic gold flat sandals. Details: Fully lined. Invisible side zipper. 100% polyester. Hand wash cold with like colors. Do not bleach. Low iron. Small measurements: Length from top of shoulder to hemline: 34”. Bust: 34”. 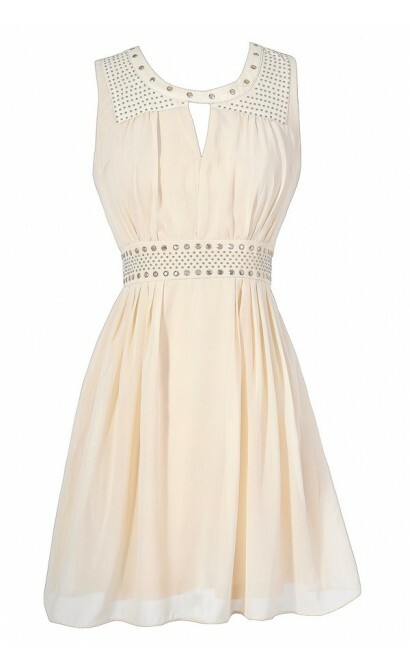 You have added Gold Studded Chiffon Dress in Beige into Wishlist. You have added Gold Studded Chiffon Dress in Beige for Stock Notification. 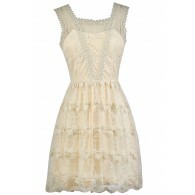 You have set Gold Studded Chiffon Dress in Beige as a loved product. 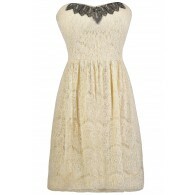 You have removed Gold Studded Chiffon Dress in Beige as a loved product.